Since its inception in 2001, Tanzquartier Wien has counted among the most influential dance centres in Europe. Initiated by local artists, it was one of several cultural institutions that were given premises at MuseumsQuartier. The first artistic director, Sigrid Gareis, was succeeded by Walter Heun in 2009. As of the beginning of 2018, Bettina Kogler is in charge of the establishment. Tanzquartier Wien presents various events in its three Studios from October to June, and in MuseumsQuartier’s Hall G from October to April. The goal and purpose of Tanzquartier Wien is ongoing collaboration with local artists active in the fields of choreography and performance. This may take the form of various formats and isn’t afraid to take risks or experiment. Another focus is on the presentation of selected works by international artists. In addition, Tanzquartier Wien continues to work tirelessly in the fields of rehearsal & exploration, theory & research as well as training & workshops. Visitors have a library at their disposal that holds a selection of specialist literature and a media library which also serves as an archive. 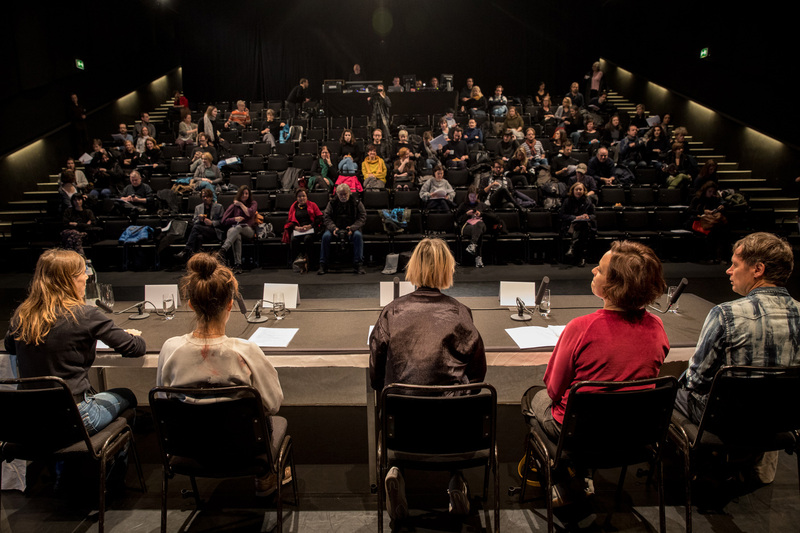 Tanzquartier Wien is a place for artists to work and exchange ideas, at the same time it is a venue where visitors can engage in contemporary choreography that takes up sociopolitical and/or artistic discourses. By integrating practices and formats from other genres, like visual art, theatre, film, etc., and due to the immediate physicality of dance we can address even the most complex phenomena of our time in a nuanced manner and make them manifest by way of sensory experience. The educational work of Tanzquartier Wien promotes a more thorough examination and investigation of dance as an art form and intends to counteract any reservations about it. In terms of content, Tanzquartier Wien’s programming is in line with, among other things, Donna Haraway’s considerations. The US American theoretician has postulated that a future “more worth living” is only possible if we finally stop passing on and thereby continue to write the same destructive narratives. In that sense, Tanzquartier Wien sees itself as a creative space for new narratives and a “better” future.